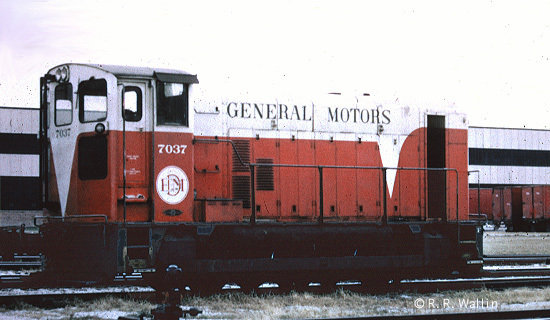 EMD 7037, EMD GM6W C 600 hp. This is the smallest EMD export, with a single traction motor driving 3 axels and an EMD 6-567C engine. This unit spent it's entire life at the LaGrange plant but did inspire some sales (Lebanon, South Africa). It wound up life at the Pielet Brothers Scrap yard next to EMD's plant and was eventually scrapped.